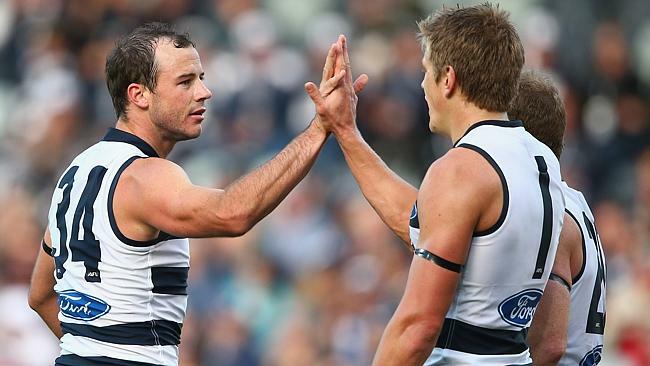 Home » Sport » Cat-man’s Round 3 review – A gutsy, spirited win! Cat-man’s Round 3 review – A gutsy, spirited win! The siren sounded with the captain holding the ball aloft. It was a fitting end to an inspired game by Joel Selwood. Always courageous, and not knowing the meaning of give-in. The moment epitomised Geelong’s day. The odds stood against them, and in moments, it looked like they were destined for a 0-3 start to the season. Bartel hurt his knee, Stokes was already in crutches, and Lonergan was off concussed. The final quarter would be a war of attrition, and through sheer grit and fight they held on for a great win in front of their home crowd. Savour the win, Cats fans, because it was gutsy. It was not brilliant, and there weren’t many promising signs as far as skill and structure are concerned, but it was gutsy and hard fought. We can be proud of our boys. What was that word? Perspective. Sure, it was a determined win today, but it was still frustrating to watch on many occasions. The midfield is still getting beaten, and if it wasn’t for Selwood flying the flag they would have been in big trouble. Caddy and Guthrie always deliver solid, workmanlike performances, but they lack the class and flair that the Geelong midfield once had. But, as Chris Scott said pointedly during the week, there’s no point comparing Geelong to what they were. This is a new side that has delivered its first win for the season. Go Cats! We can enjoy the replay now. Port Adelaide. What a game last night! They could have been 0-3 after playing solid footy all season. Last night’s match against the Kangaroos was finals like in its intensity and pace. Isaac Heeney. I’d love to be putting Gregson up there this week, but I reckon the blonde number 5 for the Swans will pip him for a nomination this week. He’s the reason Adam Goodes isn’t getting a game – and we’re all appreciative of that. West Coast. Yeah, I’m watching the game now. Sorry Eagles fans, but you’ll be wanting to avoid the pubs in WA tonight. Credit to McGovern though – one of the best defenders in the league right now. Luke Hodge. 177 SuperCoach points and a win for my side this week. Cheers. I still don’t like you, but thanks. Next week, the might Cats take on North Melbourne. Let’s hope the grit and fight they showed this afternoon will go into next week. 1 Comment on Cat-man’s Round 3 review – A gutsy, spirited win! I think this is very much the case. I constantly hear women complain about the black men they are with and I always ask myohef…&qust;Wly the hell you got involved to begin with." Also some of them are not gems themselves. Let's get that on the table right now. Not every so called "educated black woman" is a prize. I know because I have to be around them. I mean sometimes you should know by the way they say hello but then again that's just me.